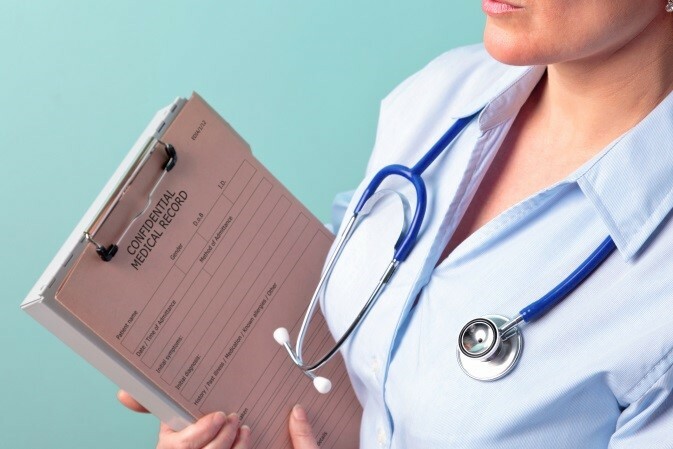 Educational testing materials, legal documents and medical records - just a few of the sensitive areas that require “eyes only” protection for sensitive documents. The Alert Confidential Document Security Bag is your security solution for transporting or storing sensitive information. 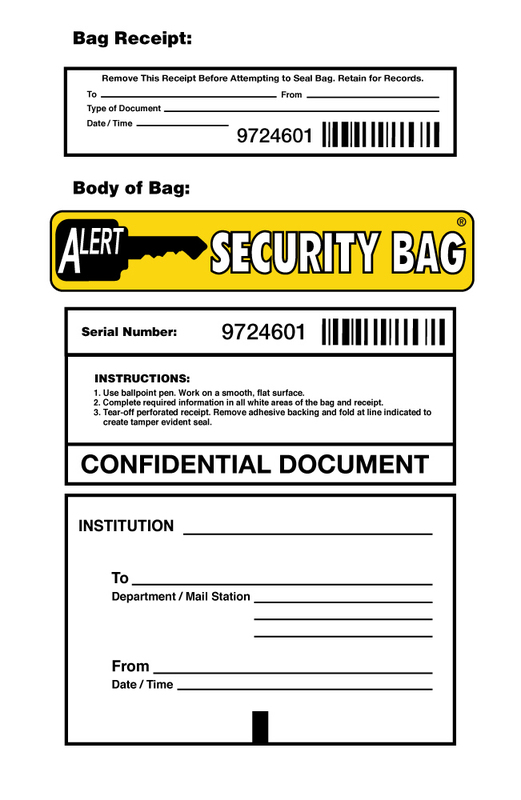 Built with the same tamper evident security features as the Alert Police Evidence Bag, the Alert Confidential Document Security Bag incorporates dual security serial numbers with corresponding bar codes for automated processing systems and a tamper evident tape closure with hidden graphics ALERT/VOID. A tear-off receipt with serial number provides the sender with a record of the exact security bag used for each transmittal and the Alert Continuous Security feature dispenses each security bag in sequential order - the ultimate tracking tool. Using a three layer composite plastic material with high opacity pigments, the Alert Confidential Document Security Bag keeps private information private. And these state of the art materials also provide waterproof protection for your documents. The printed information block provides a convenient area to document the contents of the security bag. For a detailed view of the information block, click on the image to the right. Alert Confidential Document Security Bags solve security issues in schools and universities, legal offices and medical / healthcare businesses – any situation were document access is restricted. Judge for yourself. 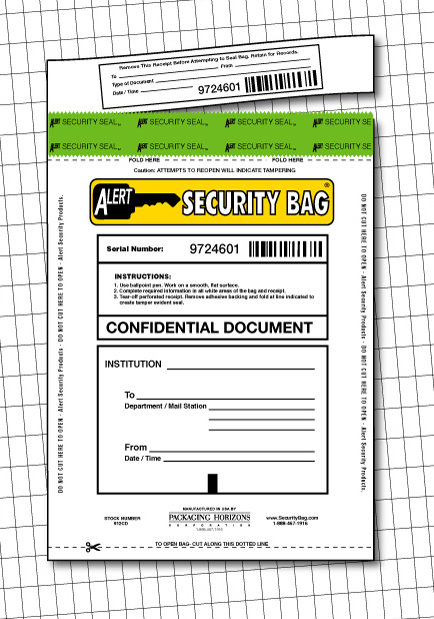 Request a free sample of the Alert Confidential Document Security Bag.